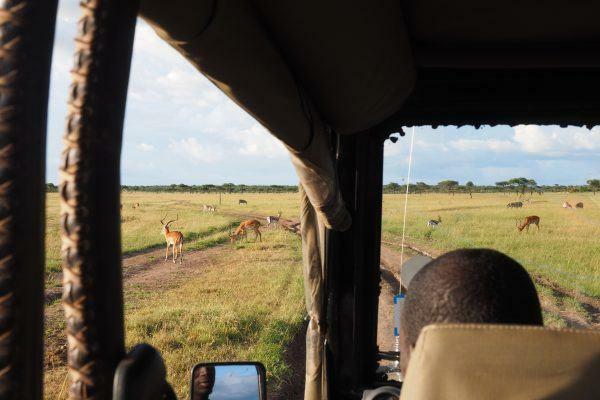 Are you curious to know what a typical day on safari in Masai Mara might be like? 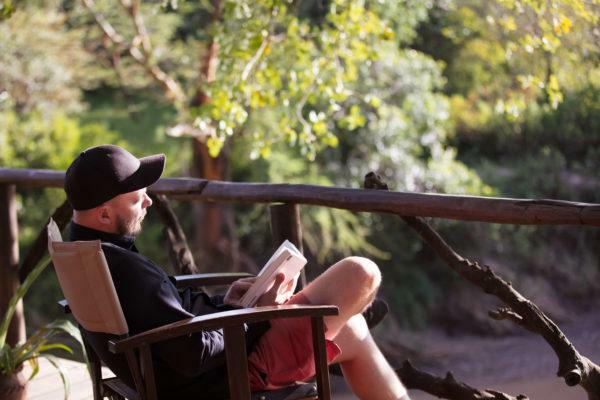 Basecamp Explorer creates amazing safari itineraries tailor-made to every guest’s preferences. Our aim is to always provide the most authentic safari experience by allowing our guests to participate in a number of activities. Some of these activities are however consistent across most of our safaris programs, and knowing what to expect on a typical day will give you a sense of what your own trip may be like. You will get your wake-up call. After coffee or tea and a quick bite, head out into the bush since wildlife is most active in the early morning. You will be accompanied by our skilled Masai Guides through the bush for 3-4 hours searching for wildlife and learning about animal behaviour and the environment around you. Head back to the camp where you will have a hearty breakfast served under spreading acacia and fig trees. The rest of the morning provides you time to relax and, perhaps, record your morning’s adventures in your safari journal or join one of the guides on a Camp walk. Lunch is usually served between 12:30 and 2:30 p.m. although the dining schedule can be easily adjusted to meet your personal preferences. 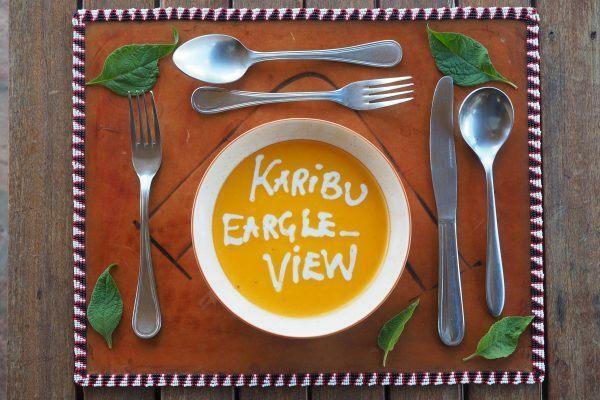 Savor freshly prepared cuisine from our local recipes. After lunch, you can remain in your tented camp enjoying the surrounding landscape. You can take a nap, or do some reading. After a well-deserved rest, you will venture back into the bush with your guide. Your afternoon game drive provides the opportunity to witness the bush in action. You’ll spend a few hours watching the wildlife and exploring the vast savannah further and as you continue to tick off wildlife on your mammal and bird lists. As the sun sinks lower in the sky and conditions begin to cool, gaze at the vivid African sunset. 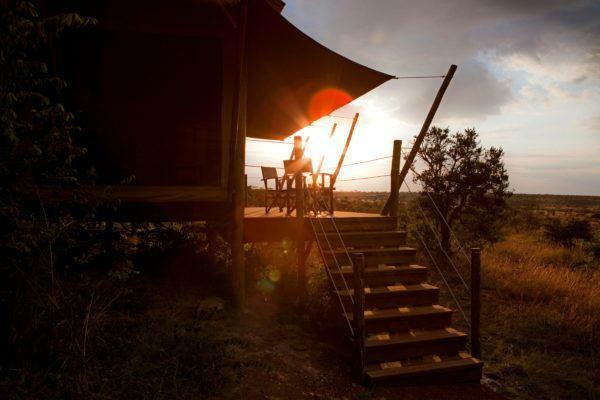 Enjoy sundowners at a scenic spot with selected drinks served under an acacia tree. 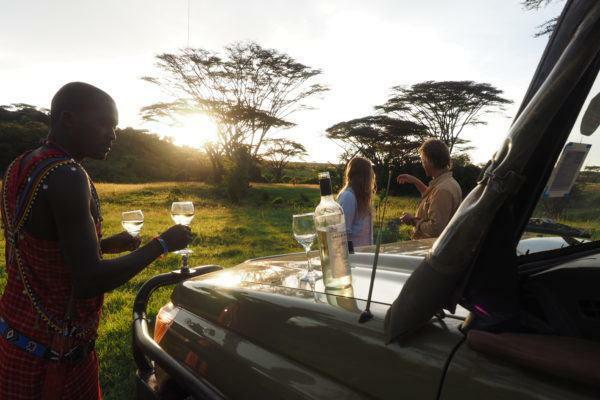 Afterward, depending on where you are, you’ll either do a night-drive or be whisked back to camp for dinner and a gathering around a campfire with the Maasai. 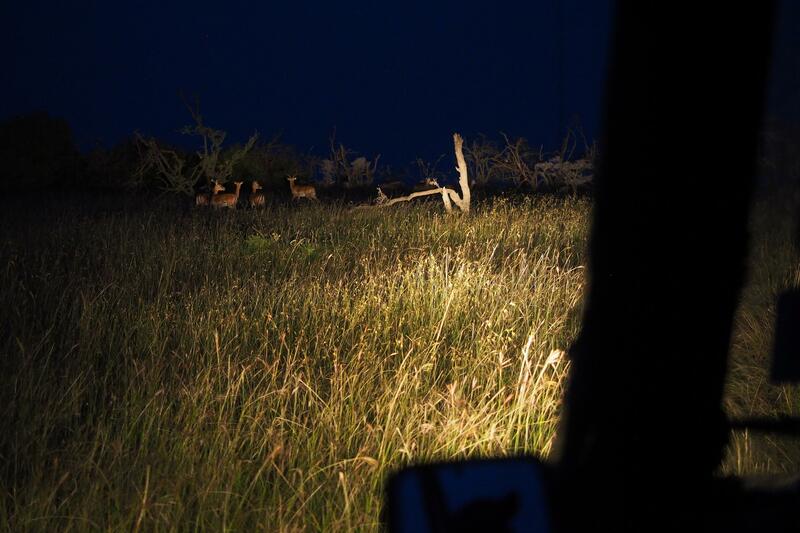 The afternoon game drive turns into a night game drive. Your guide will equip the vehicle with red-filtered UV light and spotlight to help you to spot a range of nocturnal wildlife. Search the darkness for that flicker of light from what could only be a pair of eyes. From the elusive Aardvark to fierce predators like lions nocturnal species are a fascinating part of the African wildlife experience. 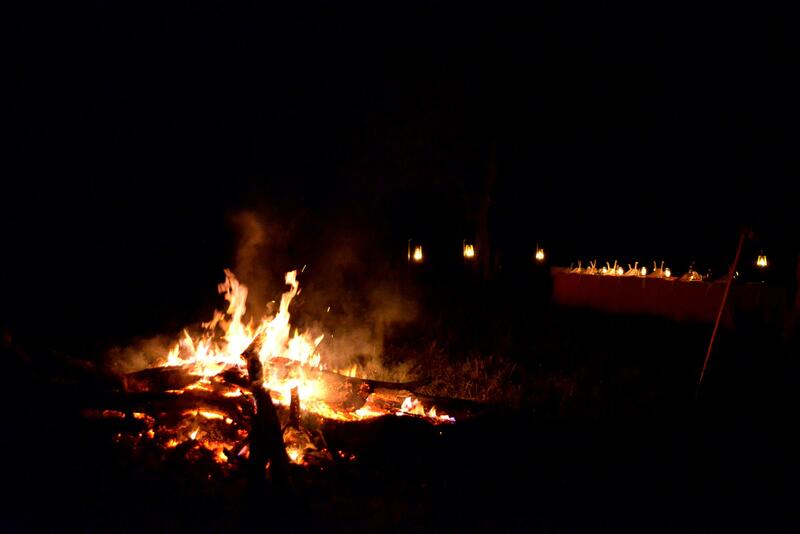 You return to camp where a 3-course dinner will be served, before enjoying a well-earned drink at the bar or as you wind up the day at the campfire. As you retire to your tent, enjoy the sounds of the bush and the sight of millions of stars in the dark night sky. 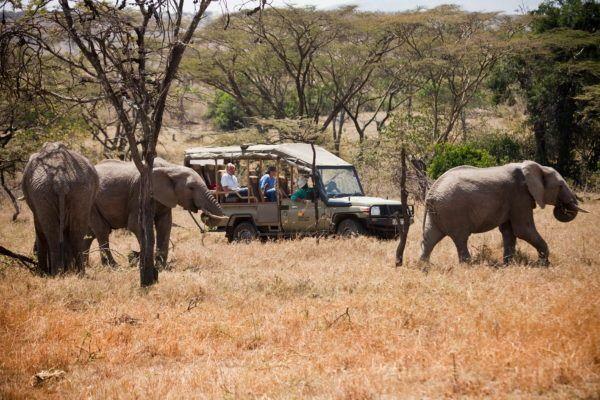 Join us on the Savannah for unforgettable safari experiences for all groups.